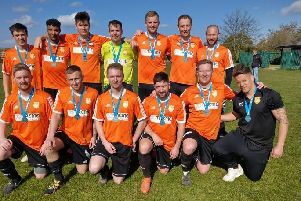 City side Riverside are seeking new players after the reserve team suffered a record 22-0 defeat last weekend. Alconbury inflicted the damage in a Hunts Junior Cup-tie. It was 14-0 at half-time. Riverside have lost eight of their nine Peterborough League Division Three matches this season. Riverside first team are also on the hunt for a couple of centre-backs to aid their Premier Division campaign. They went 2-0 at Leverington last weekend. Contacts are: first team - Paul Workman on 07791 612609. Reserves - Shane Jenkins on 07722 350142.